Trending at $25.59eBay determines this price through a machine learned model of the product's sale prices within the last 90 days. 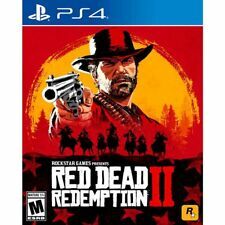 PS4 Special Edition RED DEAD REDEMPTION II. Bought the game on release date, played about a week. Just do not have the time to invest in this game. Condition is excellent. 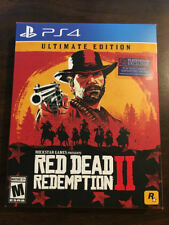 Redempetion codes on the inside are valid and have not been redeemed. Shipped with USPS first class Package. Disc has minor scratches, plays fine. 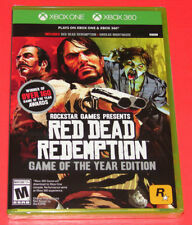 Xbox One Red Dead Redemption Game of the Year Edition Unsealed, Never Played! 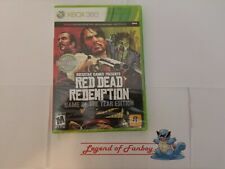 Xbox One Red Dead Redemption Game of the Year Edition Unsealed, Never Played!. Condition is Like New. Shipped with USPS First Class Package. Check Out my other Xbox Games i have listed and if you have any questions please don't hesitate to ask! Those who will not surrender or succumb are killed. 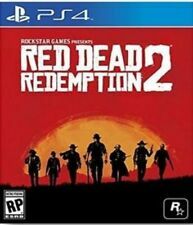 Red Dead Redemption II 2 Collectible SteelBook Edition PS4 RARE. Condition is Like New. Shipped with USPS First Class Package. 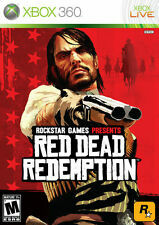 Red Dead Redemption 2. Platform:Xbox One | Edition:Standard. 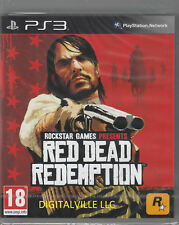 Call of Juarez Bound for Blood is in a Hollywood Video Case and includes instructions on the back. 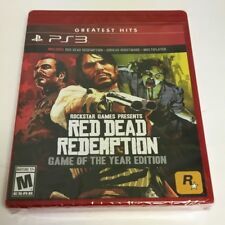 Red Dead Redemption PS4 Steel Book Collectors PlayStation 4. Condition is Good. Shipped with USPS First Class Package.